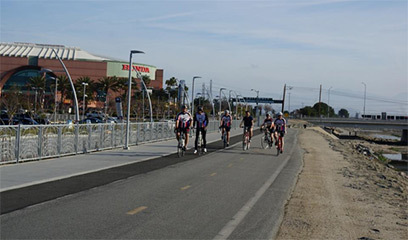 The Santa Ana Riverbed reopened on Saturday after being closed for months due to an environmental remediation project. 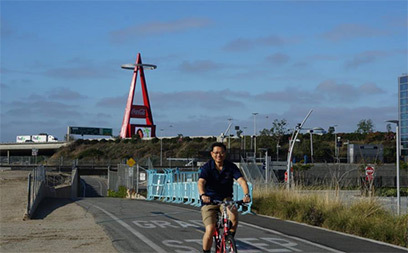 Chairman Andrew Do took to the trail this weekend, along with other cyclists, joggers, and pedestrians to enjoy in the re-opening. Trail hours are 7:00 am to 9:00 pm through October 31, 2018. The Orange County Sheriff’s Department will be enforcing these public access hours. 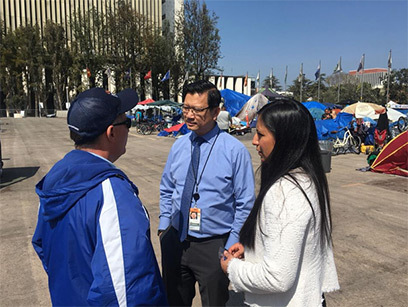 Last week, the County of Orange’s Outreach and Engagement team worked to assess and find appropriate placement for the homeless encamped at the Civic Center in Santa Ana. Teams of outreach workers and clinicians, with support from City Net and the Santa Ana Police Department, clinically assessed 221 individuals as of Monday, April 9, 2018. Those accepting referrals will be placed in a number of shelter options including recuperative care, full service partnerships, the Courtyard Transitional Center, SAFE PLACE women’s shelter, and other alternatives. These are all voluntary programs and individuals choose to either accept or decline services, and most often these decisions are not made immediately and frequently can change. New restrooms and showers will be coming to the only walk-in emergency homeless shelter in Orange County. Today, the Orange County Board of Supervisors approved the installation of a new 7-unit restroom facility and 8-unit shower facility at the Courtyard Transitional Center in Santa Ana. 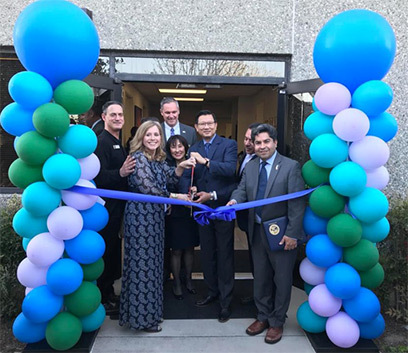 In October 2016, Supervisor Andrew Do spearheaded the effort to open the emergency shelter in Santa Ana, which now houses as many as 450 homeless each night and has transitioned 281 people to long-term housing. In addition to short-term steps to increase restrooms and showers at Orange County’s only emergency homeless shelter, County Supervisors approved an additional $3.48 million for recuperative care beds as part of the county’s Whole Person Care pilot program. The total is now $8.38 million towards recuperative care for the homeless. 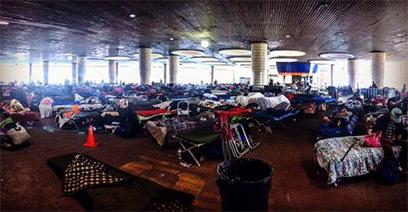 Recuperative care beds are considered a cost-effective way to provide ongoing medical treatment to homeless individuals and alleviate the growing burden on Orange County emergency rooms. Additionally, recuperative care programs connect homeless individuals to existing services and reduce the frequency of hospital readmissions. 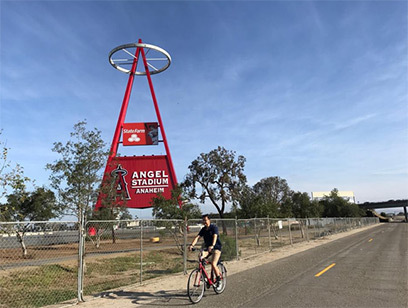 County officials say that the additional $3.48 million in funding will help address a greater need since the county cleared homeless encampments at the Santa Ana Riverbed and Santa Ana Civic Center. Chairman Do acknowledged that this week’s actions are only small steps, and that Orange County needs more shelter beds, recuperative care beds, crisis stabilization units, and permanent supportive housing to address the ongoing homeless crisis. Last month, the City of Santa Ana released an updated Point-in-Time homeless count that revealed the city’s unsheltered homeless population has more than doubled from 466 to 1,030 people. Today, the Orange County Board of Supervisors resolved April 2018 as Black April Month for Orange County. April 30, 2018 marks the 43rd anniversary of the Fall of Saigon to communist forces near the end of the Vietnam War. Black April serves as a time of solemn remembrance for those who gave their lives in the defense of freedom and democracy and of hope for a better life in the United States. 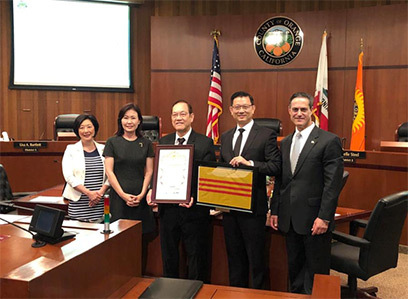 Quang Viet, a South Vietnamese Navy Veteran, successful Financial Advisor, and Vietnamese American media owner, accepted the Resolution on behalf of the Vietnamese community. After the Fall of Saigon, millions of Vietnamese and their families fled persecution in Vietnam in search of safety and freedom. Many of those who fled perished during the often-times arduous journey or were separated from loved ones who they would never see again. The Vietnamese diaspora was scattered among Southeast Asian countries and refugee camps. Many were relocated to the United States where they are now culturally, economically, and politically woven into the fabric of our great nation, with the clearest example of this being the establishment of Little Saigon in Orange County. 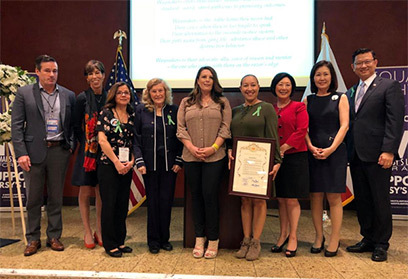 On Monday, Chairman Andrew Do advocated for victims’ rights at the 10 Annual Victims’ Rights Rally hosted by Orange County District Attorney Tony Rackauckas. The Orange County Board of Supervisors recognized Waymakers, formerly known as CSP. Waymakers has been serving Orange County since 1972 by providing the highest quality counseling and support services to struggling children, individuals, and families during their greatest time of need. Waymakers opened a youth shelter in Laguna Beach in 1979 to care for and provides services for runaway, homeless, and at-risk youth through crisis intervention residential programs with the goal to reunite youth to their families. Waymakers has continued to build on that good work to this day. Chairman Do also recognized past keynote speakers of the Victims’ Rights Rally: Tina Mora, Janelle Weinberg, Donna Bjoin, Ryan Hawks and Collene Campbell. 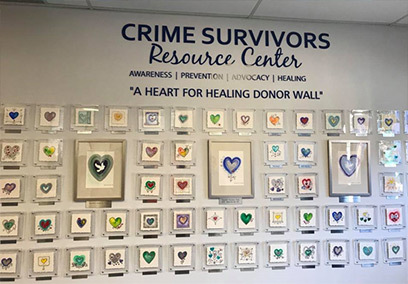 For more information on resources and programs that are available across Orange County, visit the Crime Survivors website here.